I consider ice cream to be the ultimate in summertime refreshment. Keep your snow cones, popsicles, and lemonades. Hand me a bowl and a spoon over those any hot, summer day! Which is why my blogging bestie, Dorothy from Crazy for Crust, and I have teamed up to bring our ice-cream-loving readers Ice Cream Week! Because every great foodie themed week needs it’s own hashtag. Of course, #icecreamweek has been done before. And it has, like, 179 posts from other people. But the most recent ones will belong to Dorothy and me. So if you’re on Instagram and Twitter, you should follow along! And probably grab a spoon. (FRIENDS reference not intended, but totally awesome if you read it that way). So. Let’s talk about this ice cream. While not every ice cream recipe I post this week will be no-churn/no-machine, this one is. I figured it was best to start with a killer recipe everyone could make, whether you own an ice cream machine or not! 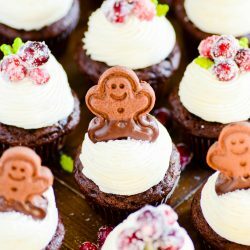 If you own a freezer and a hand mixer (or stand mixer or food processor…. or just an insane amount of whisking power in your arm), this recipe is FOR YOU. The “batter” is made up of sweetened condensed milk, Cool Whip, and cream cheese. 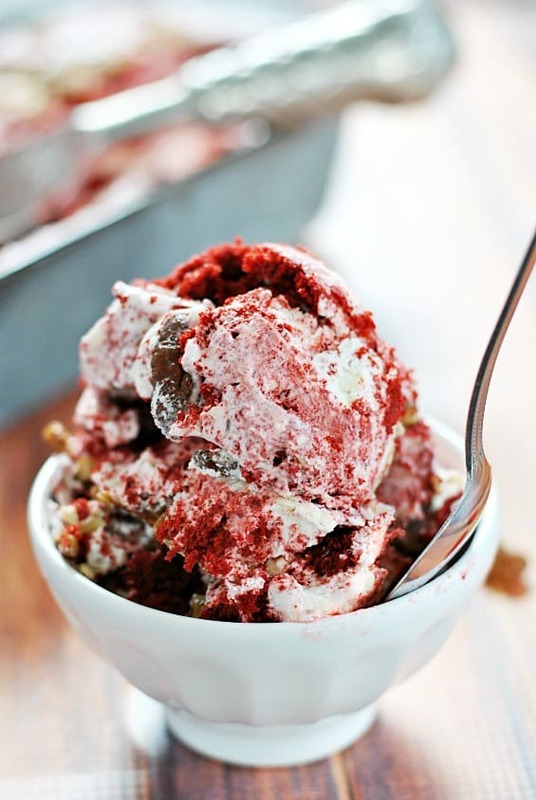 It tastes just like cheesecake, and I’m obsessed with this recipe (I’ve also used it in this Strawberry Cheesecake Ice Cream and this Red Velvet Cheesecake Ice Cream— both are awesome). Adding to the cheesecake vibe, I’ve also included graham cracker crust chunks. Honestly, those are probably my favorite part. I’m a graham cracker junkie. Finally, I’ve crammed as many Twix candy bar bites into this ice cream as humanly possible. I mean, I had to leave some room for the ice cream. But other than that, it’s Twixed-out to the max! Of course, you could really sub in any candy bar that you’d like. Twix is my favorite candy bar, like, 89% of the time. But I think this would also be really great with Snickers, M&Ms, Reese’s, or Butterfinger! *I'm too forgetful and/or impatient to ever soften my cream cheese and butter enough to use a hand mixer or stand mixer (you'll have clumps using those mixers without complete softening). So I usually use a food processor to make my ice cream batter. 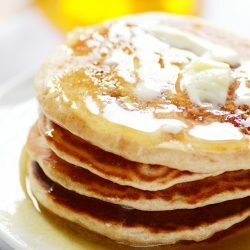 It eliminates lumps and creates a perfectly smooth batter without having to wait for butter or cream cheese to soften. Every week should be ice cream week! Ben and Jerry’s has nothing on you! Twix with graham cracker crust chunks? You’ve just won the flavor contest! 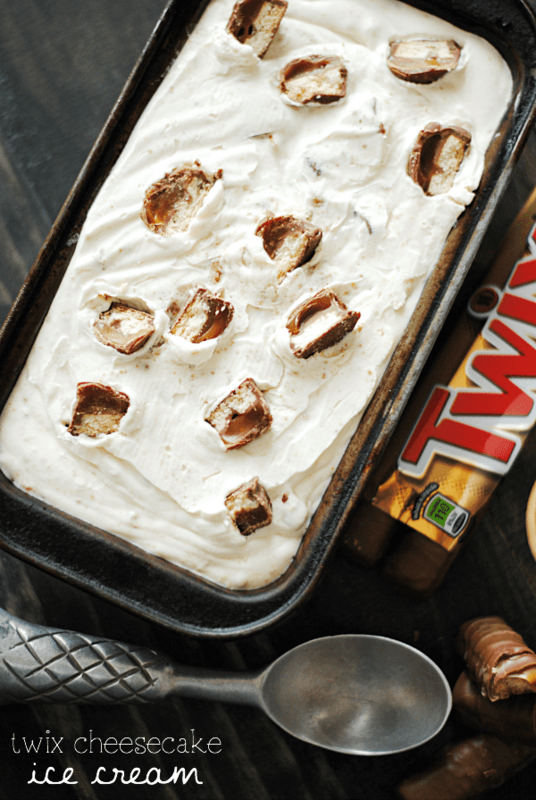 Twix + cheesecake + ice cream these are some of my favorite things! 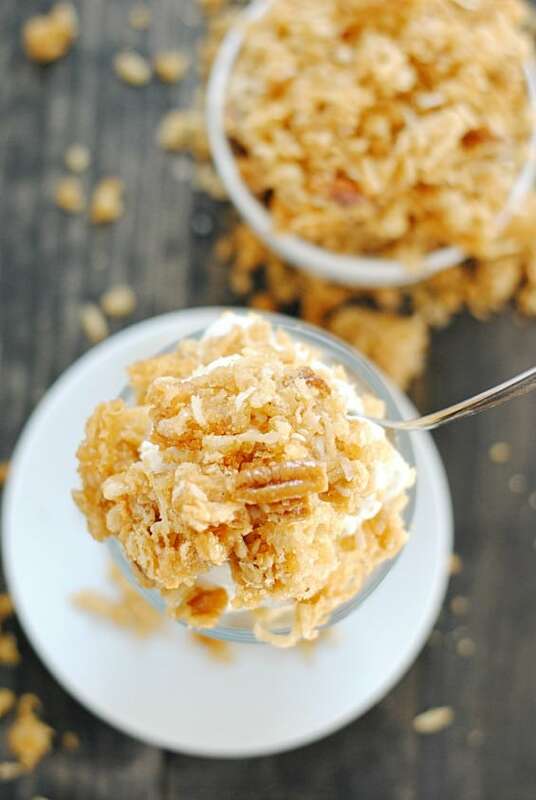 I love my ice cream maker but this recipe has convinced me to give the no-churn method a try. YES!! This looks amaze balls! Peanut Butter Twix is one of my all time faves, with the regular Twix right behind it, so yes, this looks absolutely amazing! Can’t wait to see what else you share this week! Ooooh I love IceCream Week!! And you totally started with one of my favorite candies…TWIX! Can’t wait to see what else you come up with!! Eeeeek ice cream week! I’m excited :D I love that this doesn’t require a mixer and Twix’s are amazing with everything, this is definitely a winning combination! Yay for ice cream week!! 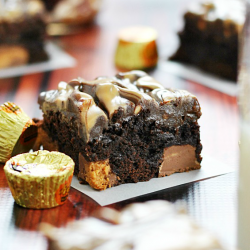 I LOVE twix so I am totally digging this recipe and love that you don’t need an ice cream maker too! This is such a fun week!! I can’t wait to see what you both come up with. You totally had me at Twix in this one. Those are one of my favorites too!!! Between you an Dorothy, I’m going to need to buy new pants!!! 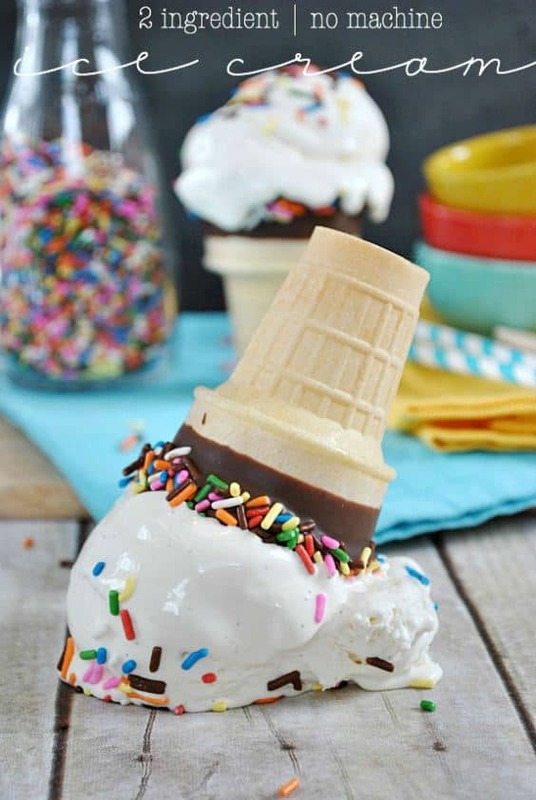 This ice cream looks and sounds perfect! I heart twix and no churn ice cream. Pinned!